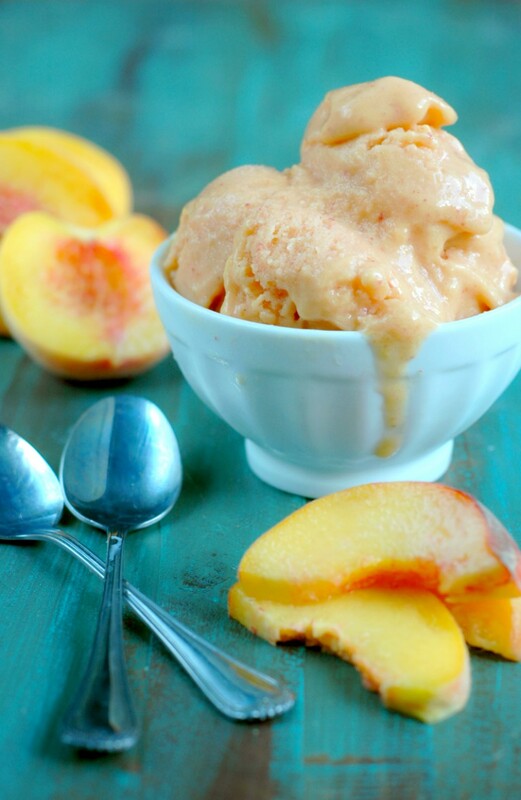 Fresh summer peaches meet rich coconut cream for the sweetest end to the summer fruit season! I am actually totally and completely in back to school mode, but when my husband brought home a bushel of peaches from our favorite stone fruit farmer last week…well I just had to celebrate a little more summer! 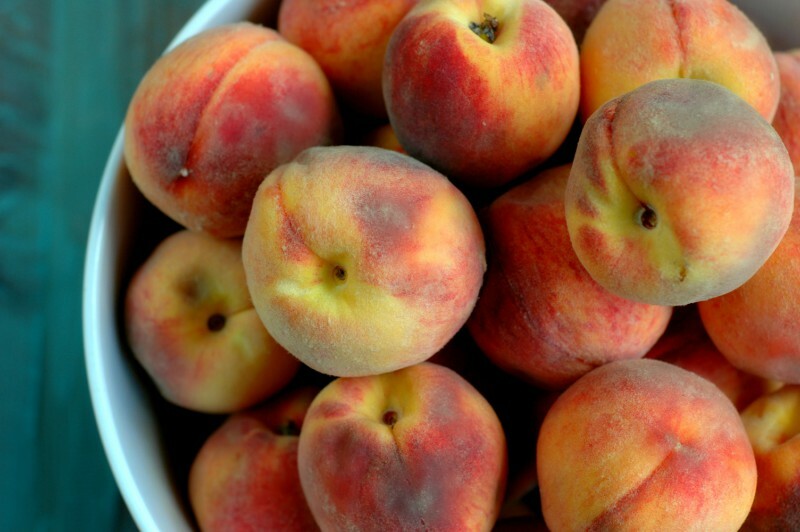 There isn’t quite anything like peaches that have had a chance to ripen right on the tree. They are so sweet and juicy, my older girls can down 2 or 3 of them without so much as a thought. And how could I say no to that knowing we won’t see fresh peaches again until next summer?! 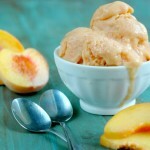 I have been able to snag enough to make some peach popsicles and smoothies, as well as peach coffee cake and blueberry peach crisp for a weekend treat. But this! 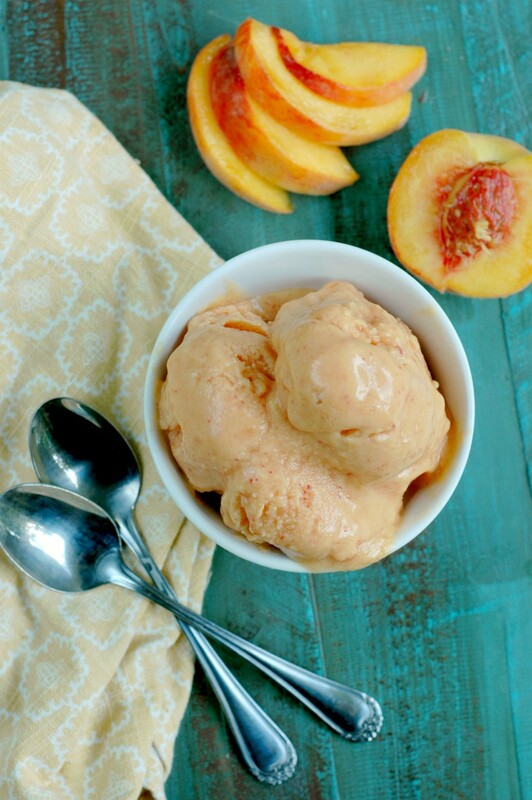 This peaches and cream sherbet has been the highlight of our peach season this year! 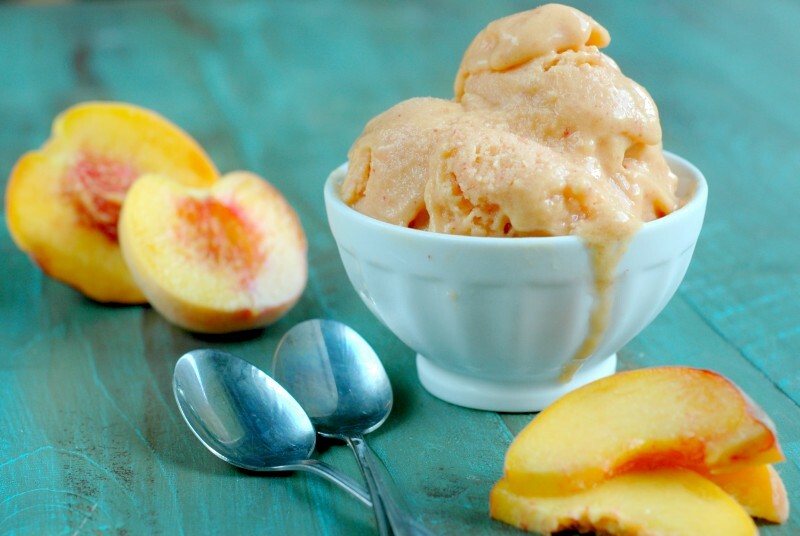 A frozen bowl of peaches and cream sherbet has been the perfect answer to our blazing humid hot August this year! 1 - 1 1/2 cups coconut cream I used my coconut milk and set it in the fridge to separate the cream. You can use the leftover coconut milk liquid in a smoothie or popsicle. Whole yogurt would work well if you want more of a frozen yogurt taste! Everything into your high powered blender and blend until smooth. I used the ice cream blend function on my Blendtec. Pour the sherbet mixture into a container or a loaf pan and freeze overnight. Alternatively, if you have an ice cream maker, you can churn it to freeze it faster - after churning in my ice cream maker for 30 minutes it was a bit like soft serve, and then it just needed a couple hours in the freezer. The sherbet does get hard when frozen completely. Simply set it out on the counter for about 30 minutes or so to soften it before serving. 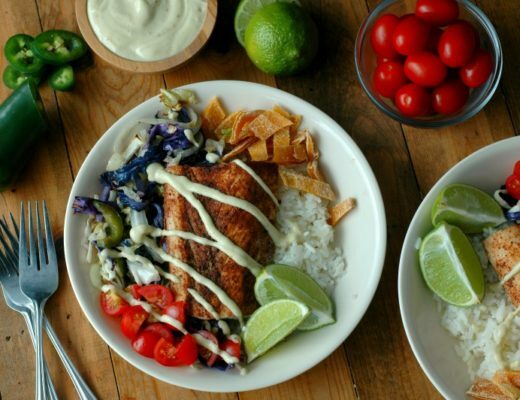 More real food summer fruit recipes you might like! Hi Megan! Yes! There is more fruit than coconut cream so it really doesn’t need to “churn” like a milk based ice cream needs to be – it is a sherbet! 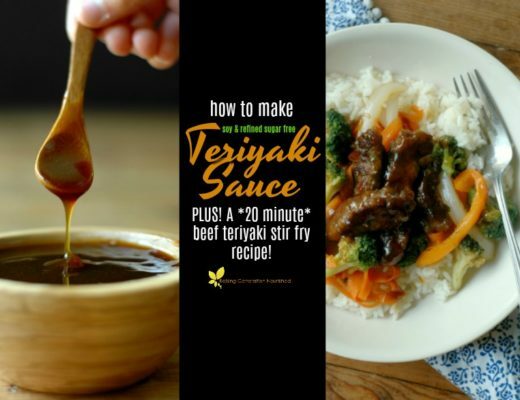 This sounds absolutely delicious! Love that no ice cream maker is required.